The hottest toy of the season may or may not be considered educational. 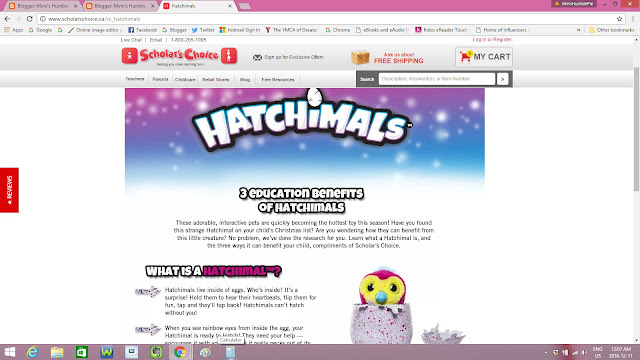 We have secured a Hatchimal against all odds at the local Scholars Choice store. It is hiding at a family members house so we haven't seen, played with, or tested it out to give it a fair review yet. It is a toy that brings interactive technology to children and encourages empathy as they care for "living" things. Some stores are still receiving small quantities of them if you are lucky enough to be there when they are going out on shelves. Here are a few of my tried and true favourite toys that build imagination, creativity, and fun! To encourage spatial problem solving skills, Lego Classic Brick Boxes of assorted pieces give freedom of invention. If you want more construction guidance, there are hundreds of sets in a variety of themes and set sizes. My girl discovered Lego sets for her the first time around her sixth birthday, and she is now an obsessed collector of the Lego Elves sets. 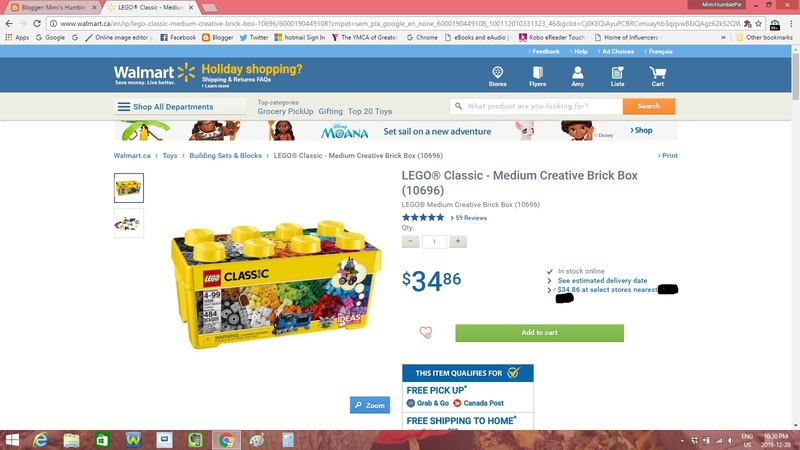 Lego ranges in price with the large set on my daughter's Christmas list costing $100, so we looked for sales to get the best deals. I bought a Classic Lego Brick Box for one of my nieces and had it shipped right to her from walmart.ca. 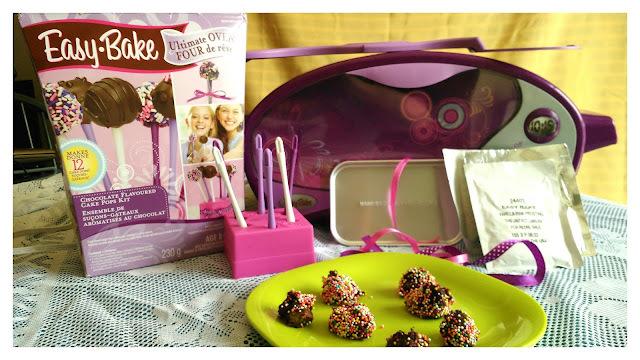 To encourage sensory and pretend play, or for children who like being in the kitchen,Ultimate Easy Bake Oven is fun and offers a large variety of refill kits, not just the cookies and cakes I remember making as a girl. This classic toy has been revamped and is not just for girls. I have seen them sell for $30-$60 dollars, but read the package carefully. Sometimes the box will include starter kit with recipe and ingredients, while others times it will only include the Oven, rectangle baking dish, and plastic pusher for the dish. Refills sell for $9-$15 in my local Walmart, and our favourite one this year was the cake pops kit. Science and Discovery is a big interest for my girl. She loves dinosaurs and will be getting a Dinosaur Dig kit. It is one of many science kits from Smithsonian Science products. These science kits sell separately at a few stores. There is Super Value pack being sold at toysrus.ca for $60 (pack includes four kits: gem dig, crystal growing, volcano making and prehistoric sea monster kit). I scored this jumbo pack for $24 at Costco in October! There are many toys that will give your children a boost in creativity and foster their natural need to discover. I try to make any gift giving opportunity a balance of fun and learning. Disclosure: This post is not sponsored or endorsed by any of the brands named within. All opinions are genuinely my own. Prices subject to change, and I cannot guarantee product availability.